Cleall Antiques are based on the outskirts of Arundel, West Sussex set in the idyllic village of Lyminster. They are well known for their eclectic collection of decorative antiques from the 18th Century to the 20th Century, in particular their huge variety of antique mirrors. Their extensive collection of different kinds of mirrors stretches from gilded mirrors, cream formal mirrors, arched top mirrors, crested mirrors, distressed mirrors, floor standing mirrors, gesso mirrors, guilt mirrors, hall mirrors, large mirrors, mirror and backboards, mirrors with cherubs, oak framed mirrors, original mercury mirrors, ornate mirrors, oval mirrors, over mantle mirrors, painted mirrors, mirror pairs, shabby chic mirrors, simple beaded frame mirrors, Victorian mirrors and wall mounted mirrors. Apart from mirrors there is also an extensive collection of French Antiques and English Antiques. With the owner Sarah's experience, passion and knowledge, your visit will consist of more than just purchasing an item, Sarah can give you useful advice on colour schemes, room layouts and which pieces have good chemistry with one another. Situated in Lombard Street, in the heart of the Antiques town of West Sussex, Chequers Antiques is well known for its stock of silver, glassware, furniture, china and paintings. Robert Dickson and Lesley Rendall, both members of the BADA, have been dealing in antiques in the Fulham Road, Chelsea, for thirty and twenty years respectively and have relocated to Petworth, West Sussex. The stock is largely 20th century furniture, lighting, mirrors, sculpture and selected objects of quality. Also carefully chosen art, paintings and decorative items. There is an eclectic mix of stock covering the 18th century to the modern day. The theme for the business going forward from London will be a true mixture of periods, brought together to offer a style of decoration that is not studied, but stylish and with a contemporary feel. Giovanna Ticciati is an interior designer and furniture designer. 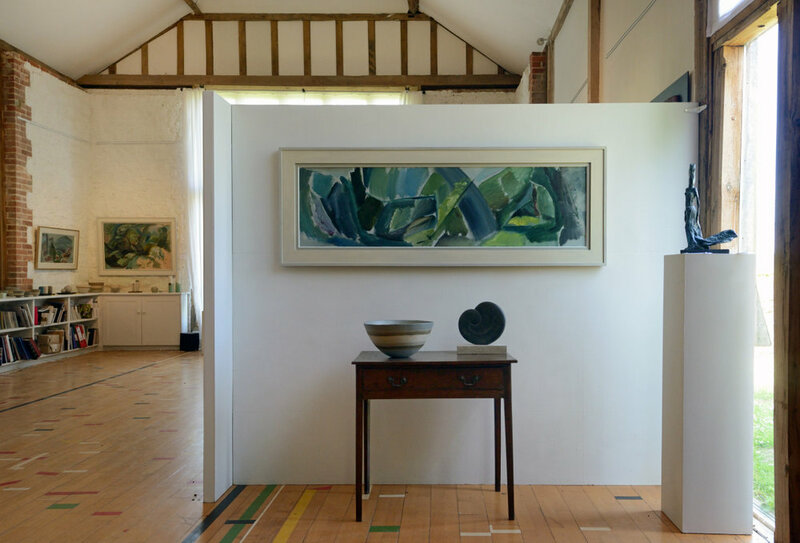 The studio and shop is in Petworth and, alongside the in-house collection, sells a selection of contemporary and antique furniture, lighting and artwork. Heather Denham has been established since 1970 in antiques and decorative furniture. Her shop ‘Heather Denham Antiques’ is a wonderful mix of English & Continental 18th, 19th and 20th century furniture including chandeliers, mirrors and soft furnishings with the decorator in mind. John Bird Antiques was founded in the early 1970's and is a well established source for dealers and decorators in the UK and abroad. Our wealth of experience and knowledge helps us to find a wide selection of both classic and unusual items with an emphasis on good colour and form that sits comfortably in both period and contemporary interiors. Now situated at the Wharf Farm, Billingshurst and within the Petworth Antique Market in the heart of the historical market town of Petworth, John Bird is a member of the Petworth Business Association. We also frequently exhibit at the Decorative Antique and Textile Fair at Battersea Park. John has acted as a furniture vetter on various antique fair vetting committees, including the Decorative Antique and Textile Fair, Penman Antiques Fairs and the Olympia International Art and Antiques Fair. John's passion for aesthetics is not restricted solely to interiors, he is an avid gardener and has been integral in many landscaping and renovation projects. He is happy to provide consulations and any ongoing services in order to help you obtain the garden you desire. John Giles Antiques has been selling furniture and paintings for over 30 years, the last 12 years in Petworth, High Street. The stock is mainly from the 19th and 20th Centuries and is reasonably priced. Kiki Design offers a tailored look that encompasses a range of styles. Stocking both traditional and decorative antiques as well as C20th design and furniture, unique items and artwork. Kiki Design’s aim is to offer pieces which will work in all types of interiors, be it town or country houses, or cosy cottages and minimalist flats. Collection sourced from across Europe. Thakeham Furniture specialise in 18th and 19th century English antique furniture with an emphasis on originality, good colour and patina. Their large and friendly showroom stocks a good range of items such as dining tables, sets of chairs, chests of drawers, desks, bookcases, sideboards, mirrors, clocks, sofas and easy chairs. Open from 10.00 am to 5.00 pm Monday to Saturday.